The eleventh generation of the Toyota Corolla model has been produced since 2012 in Japan. In the class of compact cars, buyers most often look for many additional features. Toyota Corolla 2013 provides them with such opportunities thanks to three premium packages in each model: Premium, Premium Interior and Premium Complete. In addition to the full Premium package, the audio display with navigation and the Entune multimedia system are included. This system includes all the functions of a basic audio system, as well as SiriusXM radio, HD radio with iTunes Tagging, advanced voice recognition and Entune applications. The Toyota Entune system is a collection of popular mobile applications and data services. After connecting the smartphone to the car using Bluetooth wireless technology or using a USB cable, Entune allows you to control your smartphone with voice recognition. In real-time, you can get information about traffic, weather, fuel prices, sporting events and promotions in Entune. 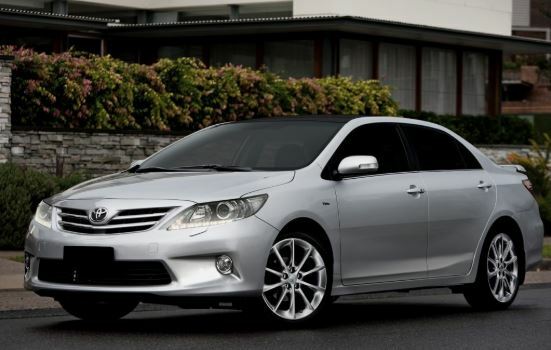 For Toyota Corolla LE Premium package consists of 16-inch 5-spoke alloy wheels, tires P205 / 55R16 and fog lamps. Premium Interior package does not differ from the model S in addition to the added function of the electric drive seats. In the full Premium package, 16-inch alloy wheels with 205 / 5R16 tires are added. 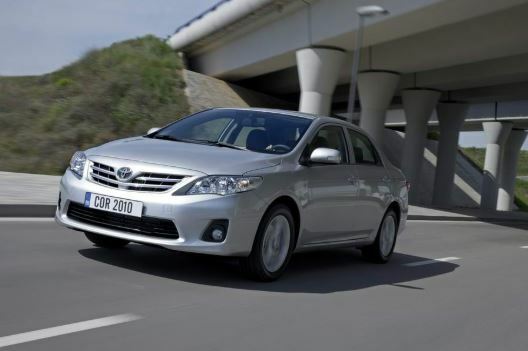 In 2013 appeared the debut version of Toyota Corolla for the American and European markets. Externally, cars differ from each other in design of the front and rear. Thus, the European version of the Corolla received a wider chrome grille, headlights heading to the windshield, elongated tail lights, and other bumpers. In general, the exterior of the 2013 Corolla has a more aggressive appearance. The model added in size, the length of the car is 4620mm (+80), width 1775 mm (+15), height 1465 mm (-5 mm). 100 mm increased wheelbase. European and American Corolla XI received and different engines. In the USA, the line of power units consists of two gasoline engines of 1.8 liters – 132 hp. and 140 horsepower. Together with them are offered, a four-stage automatic, six-speed mechanics and a CVT. Three petrol engines are available in Europe: 1.3 l (99 hp), 1.6 l (122 hp) and 1.8 l (140 hp). The weakest engine works only in a pair with six-speed mechanics. It is not dynamic, acceleration from zero to hundred takes 12.6 seconds. Fuel consumption of a 1.3 liter motor – 5.4 liters on the highway, 7.1 liters in the city. The 1.6-liter engine is aggregated with both a six-speed manual gearbox and a variator. The most powerful engine is offered only with the CVT. Together with him, he accelerates the car from 0 to 100 km / h in 10.1 seconds. Fuel consumption in the city of 8.6 liters on the highway 6.7 liters. How to choose used Toyota Corolla 2010? Inside the 2013 Corolla looks very restrained, especially compared to the exterior design. The interior is stylish, simple and comfortable. High-quality materials, the dashboard reads perfectly, the seats are comfortable. Already in standard equipment there are LED headlights, car-colored handles and mirrors, eight airbags, power windows, air conditioning, heated seats and central locking. More expensive versions offer light and rain sensors, leather and fabric upholstery, dual-zone climate control, and a good multimedia system. The basic colors for the body are white and dark blue, other colors are available for an additional fee. Do not forget that In order to quickly and safely deliver any cargo to the African continent, Auction Export suggests sea and air transport in combination with rail and road (if necessary). Specific types of transport are combined and selected in each case individually, depending on various factors – the place of delivery, the permissible speed. www.auctionexport.com is equally successful in organizing both simple and complex logistics routes.